One of the moves the Patriots made yesterday to get down to the NFL-mandated roster limit of 53 players was releasing safety Brandon Meriweather, the team’s first-round draft pick in 2007. Though Meriweather played in his second straight Pro Bowl at the end of last season, there have been rumblings that there would be some sort of move made with him almost since training camp began. However, once New England cut James Sanders (the quiet, highly respected elder statesman of the unit) on Monday, it appeared Meriweather might be staying because the club had so little experience at the position. But, clearly, the Patriots were ready to move on from the 27-year-old (who never missed a game in his time with the team) starting 40 of 64 regular-season contests. The Patriots did little to quiet the talk of their unhappiness with Meriweather during training camp by bringing in free agent Dashon Goldson for a workout (and offering him a contract, though Goldson opted to re-sign with the 49ers) and having veteran Darren Sharper, an All-Pro each of the last two seasons, in for a workout. Then there were the days toward the end of camp when Meriweather saw the majority of his snaps with the first-team defense go to Sergio Brown. Thursday night, in the preseason finale against the Giants, Meriweather didn’t take the field on defense until after halftime; instead, Josh Barrett, getting his first game action for New England, started the game with Patrick Chung in the defensive backfield. Brown came on when Barrett came off in the first half. As if people around the NFL already didn’t know this, Bill Belichick proved once again Saturday that if he gets tired of your act, you’re gone – regardless of who you are, where you were drafted or how many times you’ve played in the Pro Bowl. Brandon Meriweather felt that sting Saturday and becoming one of 15 players to be released as the Patriots got to the 53-man regular-season roster limit. The roster set Saturday by the Patriots may not be the roster they’ll have today (Monday), any time next week or next Monday night when they open the season in Miami on national television. But it’s almost certain that Meriweather (the inconsistent and oft-underproductive safety whose concentration and focus were repeatedly in question over his four seasons here) will not be a part of whatever reconstitution might take place over the next few days. Meriweather (the 24th overall pick of the 2007 NFL Draft) joined a few other noteworthy veterans on the unemployment line. Wide receiver and kick returner Brandon Tate may have become a goner on the day the NFL moved kickoffs back to the 35-yard-line, while running back Sammy Morris’ 11-year NFL run came to an end as well. The Patriots released 15 players and placed four on various reserve lists yesterday to come into compliance with the league-mandated roster limit of 53 players. But, unlike most years, there were some recognizable names jettisoned among the usual flotsam. Starting safety Brandon Meriweather (a polarizing figure to say the least) and well-liked running back Sammy Morris (both of whom arrived in New England four years ago) highlighted the list of cuts. Receivers Brandon Tate and Tiquan Underwood, tight ends Lee Smith and Will Yeatman, running back Eric Kettani, offensive lineman Thomas Austin, linebacker Niko Koutouvides, cornerback Ross Ventrone, and defensive linemen Markell Carter, Landon Cohen, Aaron Lavarias, Eric Moore and Alex Silvestro were also released. Defensive linemen Ron Brace, who starred at Burncoat High, and Brandon Deaderick, along with running back Kevin Faulk, were placed on the reserve/physically unable to perform list, meaning they’ll miss at least the first six weeks of the season. Offensive lineman Marcus Cannon (who was drafted in the fifth round in April) was placed on the reserve/non-football injury list. Fellow offensive lineman Rich Ohrnberger was placed on season-ending injured reserve. 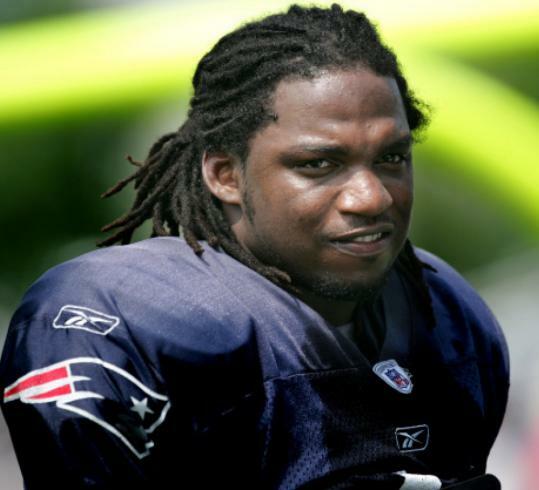 The departure of Meriweather, which can only be considered mildly surprising, puts to rest a summer of speculation about his future in Foxboro. This entry was posted on Sunday, September 4th, 2011 at 6:52 am	and is filed under Sports. You can follow any responses to this entry through the RSS 2.0 feed. Both comments and pings are currently closed.